Having worked in the IT industry in the UK and US for a number of years, I have witnessed the growth and maturity of many technologies. But since assuming the position of Vice President, International at X-IO, I have taken on responsibility for managing some of the newer emerging markets, including India, the seventh-largest country on the planet, the second-most populous with over 1.2 billion people and the biggest democracy in the world. India is a growing presence in the world economy and one of the key drivers of its economic growth has been the IT industry which is projected to reach sales of $17bn in 2015 according to the Manufacturers' Association of Information Technology. From my own perspective, I think there are some interesting similarities and differences between the IT industry and people working in IT departments in the UK and India. In terms of similarities, IT professionals in India and the UK are world-class professionals who understand technology and the business proposition/value of each and every component of their architecture. However, the Indian market can often be more structured with strong hierarchies. Indian IT professionals are more likely to require POC tests to verify each and every performance criteria, rather than rely on vendor provided materials. 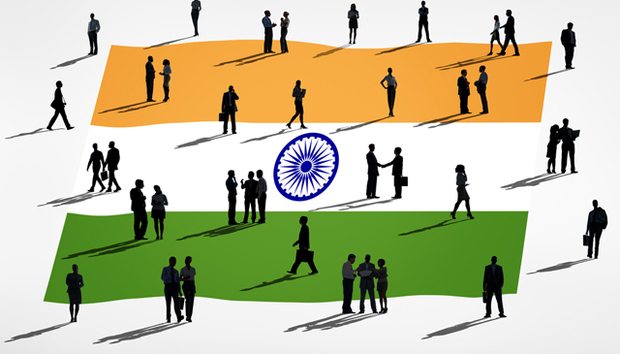 From a vendor’s perspective, India presents different challenges than the UK. For a start, the size of India and the wide dispersal of IT centres makes it different to many markets. Getting in front of key IT executives can be hard unless a vendor has a compelling value proposition and strong references. India does not adopt new technologies that are not proven, so the technologies it takes on must have well-established local support and resources. The market is very much relationship driven, so any vendor seeking to succeed in India has to invest in a long term approach. All the major western brands are well established in India with significant market share. This is especially true in storage where it can be harder for new arrivals because storage is such an important purchase and enterprises are naturally careful about trying out new vendors. Any suppliers entering India need to have patience because it takes longer to establish new technologies than in the west. But if the technology is suitably disruptive, its long term sustainability can be higher because the Indian market likes to be ahead of the curve. The storage market in India shares many similarities with other modern environments with IT leaders looking for the best fit for their needs. They may choose to expand existing solutions but they are always looking at new solutions to fit specific use cases, such as VDI or OLTP. Because India is a global leader in IT, its methods and approaches are like other leading markets: up to date and very well thought through. The challenge IT leaders face is the same as their counterparts globally: how to get storage that scales evenly with growth. With a very large percentage of mobile users, the need for low latency storage and networks is critical and hybrid arrays can provide a good way to get low latency, high IOPs storage compared to flash, which is uneconomical for most applications. Energy costs are far more painful than in the west because of the need for long back ups and the erratic nature of the power supply. As a result, energy costs are a bigger impetus for the adoption of energy efficient storage than in the west. The high performance storage tier is likely to grow rapidly in India from a tiny base, especially as a number of data centre providers are encouraging customers to move to the cloud. Hybrid storage is expected to provide a much needed tier between flash and traditional storage. And while there will be a rise in the volume of traditional storage, overall revenue may not increase because the pressure on enterprise IT budgets will keep the lid on pricing. While IT departments in India have a growing appreciation for solutions that deliver very real TCO benefits, they will not trade those benefits for lower standards of reliability, performance or ease of management. The Indian market understands IT solutions are an investment that must further the business objectives of the host enterprise and deliver a solid ROI.